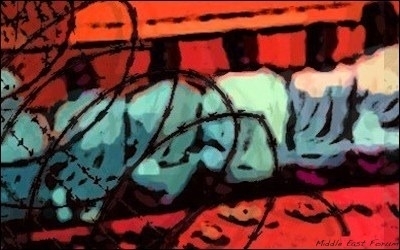 Jihadists are rarely softened by release from prison. Adel Kermiche, the jihadist who killed Rev. Jacques Hamel while he was celebrating a Catholic mass in France, is the latest illustration of what happens when a known threat is paroled by a society that finds prison inhumane. Kermiche, an ISIS recruit arrested trying to reach Syria, was released by a lenient judge. Parole has been in the news a lot lately. In a rare act of courage just over a week ago, California governor Jerry Brown overruled a parole board decision to release Manson family member Leslie Van Houten, killer of Leno and Rosemary La Bianca. And then last week, John Hinckley, who shot Ronald Reagan and James Brady in 1981, secured his own sweet parole deal (technically it was "convalescent leave") through the leniency of U.S. District Judge Paul Friedman. New York State changed its gun laws in response to a shooting rampage by William Spengler, who was paroled in 1998 after serving 17 years in prison for killing his grandmother with a hammer. New York State doesn't need more gun control; it needs parole control. The U.S. has a history of accepting jihadist parolees. Omar Abdel Rahman, the blind sheikh, was paroled by Egypt after spending years in prison for his role in the 1981 assassination of Sadat. He came to the U.S. in 1990 and was granted a green card in 1991. He is currently serving a life sentence for his roles in the 1993 WTC bombing and theLandmarks Plot. What possible value can come from releasing committed jihadists from prison? But the most outrageous example of granting freedom to dangerous criminals is the ongoing release of Al-Qaeda and Taliban jihadists from Guantanamo Bay. The Hill has reported that of 676 released Gitmo detainees 118 are confirmed to have rejoined the fight and another 86 are suspected to have done so. The recidivism rate among Gitmo detainees has been estimated at 30%. The massive jihad parole has happened under both the Bush and the Obama administrations, and both have released killers back to the battlefield. When Ibrahim al-Rubaish was released by George Bush in 2006, he promptly became an important leader of AQAP. When Ibrahim al-Qosi was released by Barack Obama in 2012 he did the same. Both administrations tried to retain secrecy about the goings on in the prison. But Bush was mostly trying to keep information from the enemy about which fighters were out of action, whereas Obama is trying to keep information from Americans about which fighters he is releasing and the threats they still pose. Senator Kelly Ayotte (R-NH) has written of "a consistent and concerted effort by the Administration to prevent Americans from knowing the truth regarding terrorist activities and affiliations of past and present Guantanamo detainees." Assuming there ever were any genuinely innocent people rounded up accidentally from the battlefields of Afghanistan and Iraq, they were released long ago. When the Obama administration took over, many in the Bush administration warned that those remaining at Gitmo were "the worst of the worst." Releasing these dedicated jihadists has led to predictable results. Saudi Arabia's Mohammed bin Nayef Center for Counseling and Care has a dismal success rate rehabilitating jihadists. 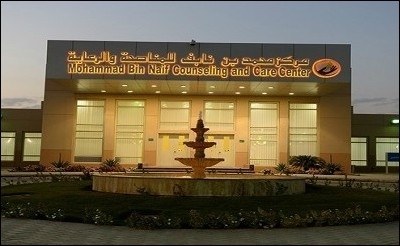 Some have been released to Saudi Arabia where they are sent to the Mohammed bin Nayef Center for Counseling and Care. Here they are involuntarily enrolled in the kingdom's terrorism rehabilitation and de-programming center, allegedly purged of their fondness for jihad and transformed into productive members of society through different kinds of therapy and "structured debate." The recidivism of the bin Nayef Center is probably higher than that of Gitmo. According to a CBS report, a September 2014 arrest of 88 Al-Qaeda operatives had 59 graduates; later that year when 77 were arrested for an attack on a Saudi Shiite mosque, 44 of them were discovered to be bin Nayef alumni. Other parolees have been sent to Qatar, Senegal, the UAE, Palau, and Ghana. Rep. Edward Royce (R-CA) has written that the Obama "administration is releasing dangerous terrorists to countries that can't control them, and misleading Congress in the process." In 2014 six jihadists were sent to Uruguay, among many predictions of bad things to come. One of the men, Jihad Ahmad Diyab, has disappeared in Brazil — timing many find perilously close to the upcoming Olympic Games. What possible benefit could any society derive from releasing a member of the Manson family or a man who killed his grandmother with a hammer? And what possible value can come from releasing committed jihadists to nations that cannot control them or track them if they disappear?